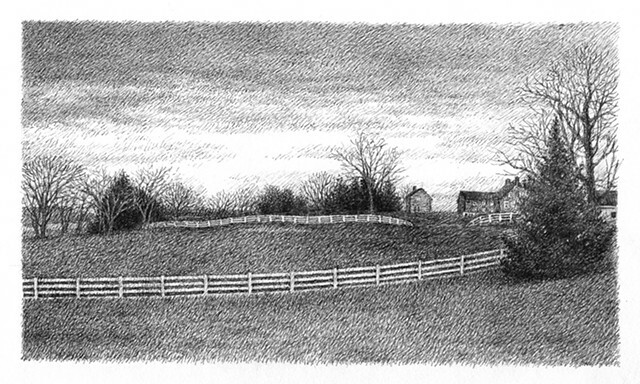 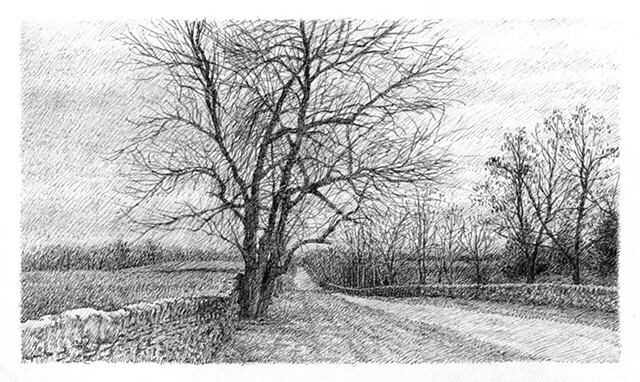 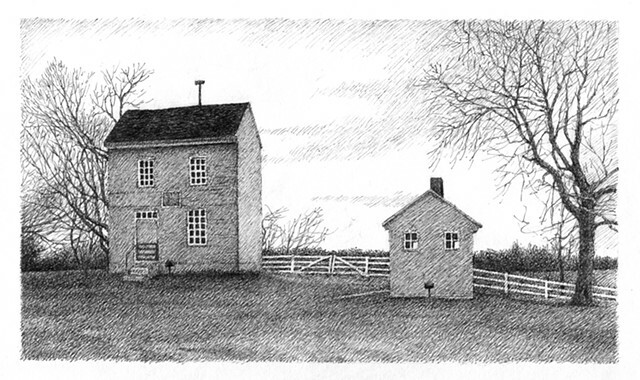 These are sketches from several locations in Kentucky: the Shaker Village in Pleasant Hill, Natural Bridge State Park in Slade, and fields and barns in outlying areas of Lexington. 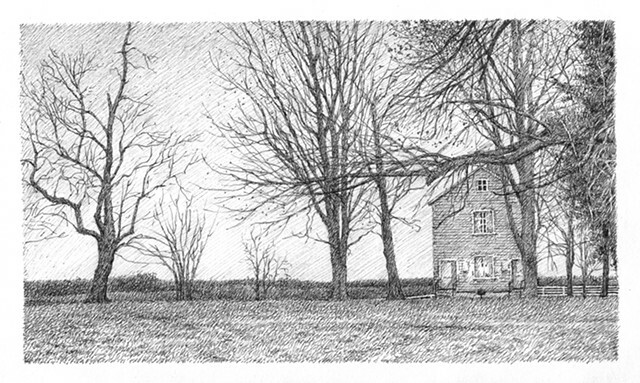 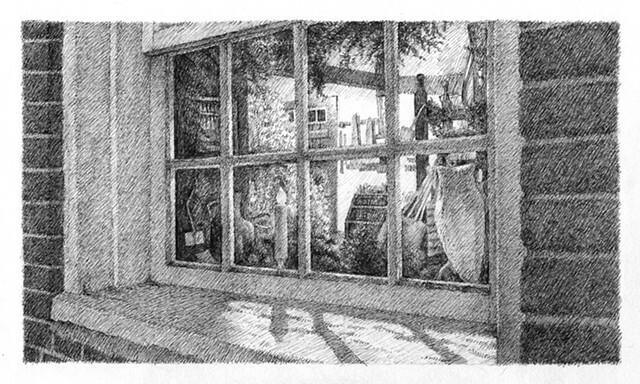 My original drawings are drawn with a Micron pen and take about a week to finish. 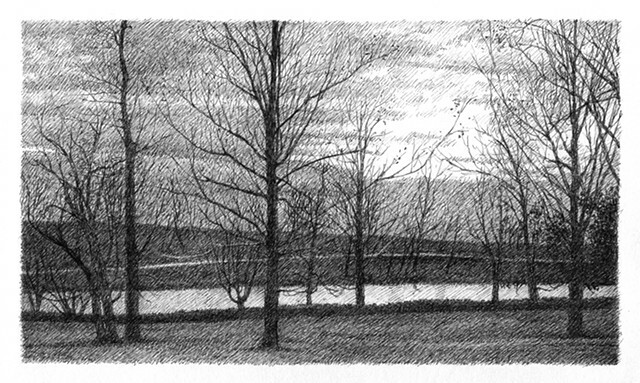 I’m usually working on several drawings at the same time.